State Auditor Nicole Galloway delivered a scathing audit to St. Louis Recorder of Deeds Sharon Carpenter, shown here at podium. 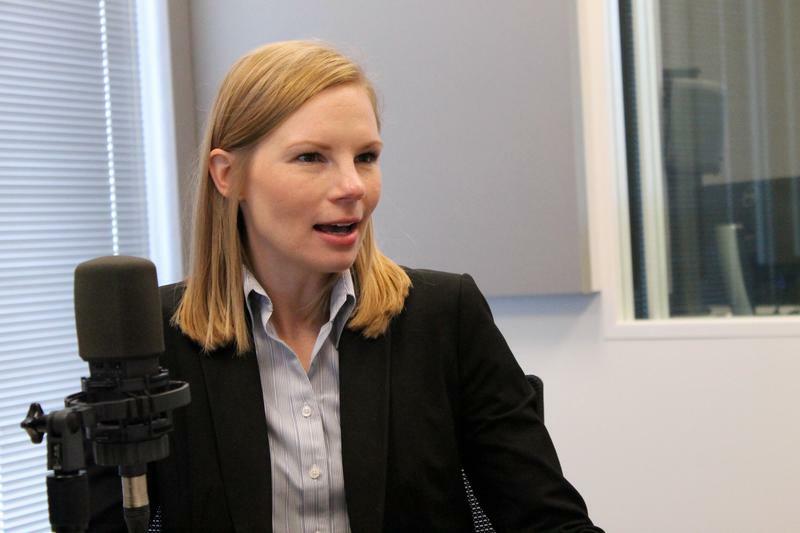 State Auditor Nicole Galloway has delivered a scathing audit of St. Louis Recorder of Deeds Sharon Carpenter, contending that the citywide official failed to keep adequate bookkeeping and improperly executed construction contracts to a former employee’s relative. It’s the latest salvo against Carpenter, a longtime Democratic political figure who has been under intense scrutiny for how she’s run her office over the past couple of years. “This audit confirms mismanagement of public resources that many of you have reported on in the past," said Galloway during a press conference in Downtown St. Louis. "Throughout this report, you will find examples of a lack of transparency, accountability and responsiveness that citizens expect from their elected leaders. Public officials must expect independent review and to be held accountable for making improvements that better serve citizens." 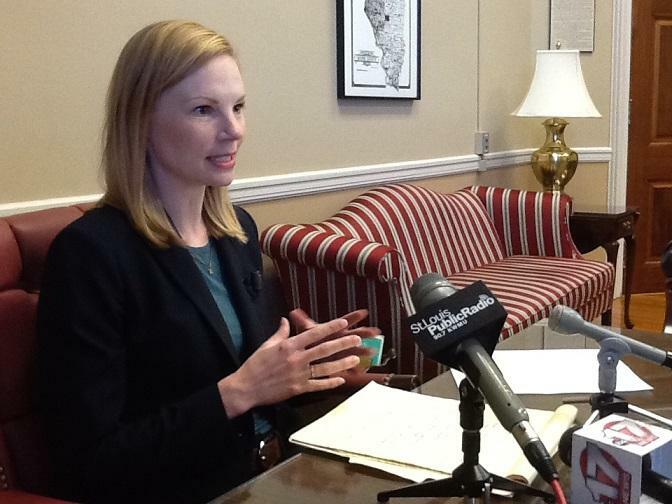 State Auditor Nicole Galloway held a media availability about her recorder of deeds office on Tuesday in St. Louis. Back in 2014, it was revealed that Carpenter had hired her great nephew to do office work – which ran afoul of state laws regarding nepotism. 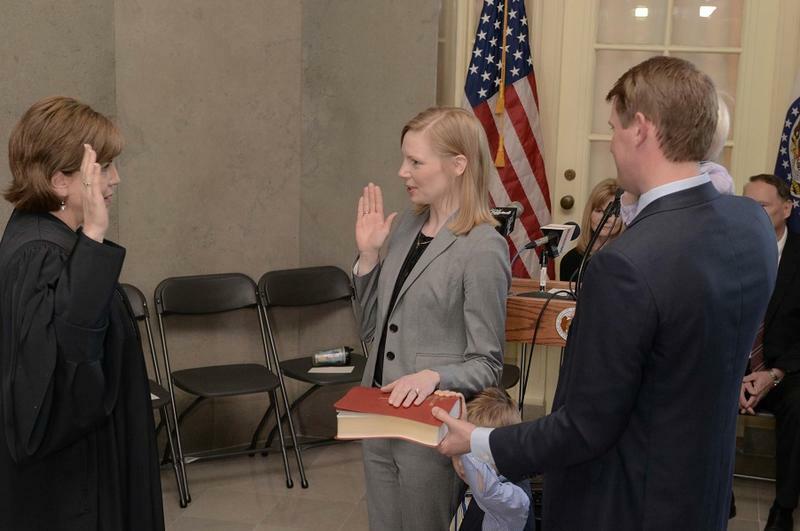 She resigned on July 11, 2014 – and in September 2014 Gov. Jay Nixon asked then-state Auditor Tom Schweich to perform an audit of Carpenter’s office. In the audit that was released on Tuesday, Galloway portrayed Carpenter’s office as profoundly disorganized. Galloway noted that renovations to Carpenter’s office were performed by a company that either employed or was owned by former Deputy Recorder Peggy Meeker’s son. She went onto say that Carpenter “did not properly solicit bids for at least one project and there is no indication the office compared pricing for a number of smaller projects. ... The former deputy recorder's conflict of interest, along with her level of responsibility for and involvement in some projects were not consistent with good management practices,” Galloway wrote. Carpenter “failed to comply with numerous legal requirements related to a Records Preservation Account.” Galloway said the account should have been under the control of the city treasurer’s office. And she added that Carpenter made a number of impermissible expenditures, “including $2,378 for rugs for the private offices of the recorder and deputy recorder and $687 for furniture, decorating items, and cleaning supplies.” Galloway also wrote that Carpenter authorized "travel and conference expenditures for attendance at Missouri and international recorder association meetings without sufficient documentation to determine compliance." Several points in Galloway’s audit have been documented in the press before. But it could provide fuel to her political adversaries (including St. Louis Mayor Francis Slay, a former political ally) that Carpenter isn’t fit anymore to run her office. "In total, Recorder Carpenter spent more than $300,000 from the recorder's preservation account inappropriately or without proper transparency," Galloway said. "Some of these expenses did not appear to be in regards to records preservation, including food, entertainment, furniture, office decorations. The recorder also used the account to pay for travel and conference expenses that were not documented as being related to records preservation. Also part of that $300,000 required bidding processes that were not followed for construction contracts paid out of the account." In a written response contained within Galloway’s audit, Carpenter said many of the contentions were instructive – and provided her office with some suggestions for improvement. 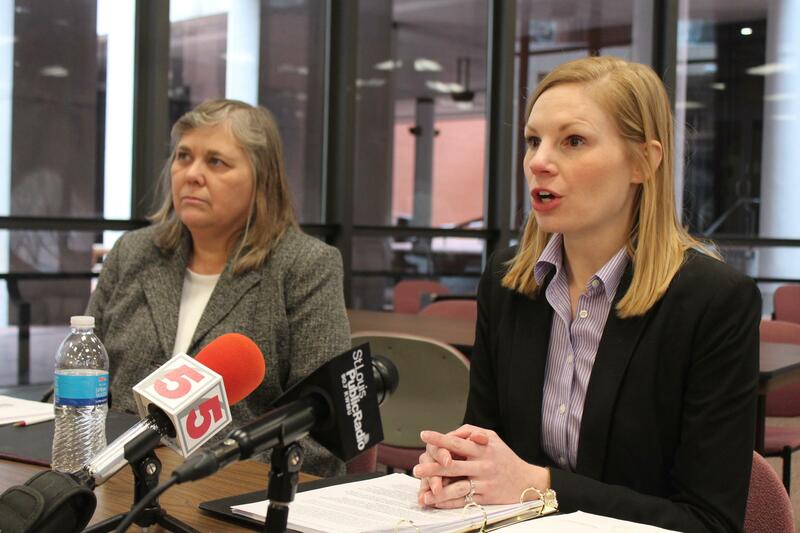 State Auditor Nicole Galloway, right, slammed Carpenter for "mismanagement" -- and criticized her response to the audit. But Carpenter also vigorously defended her office against Galloway's findings. In a statement posted on her office web site after the audit was release, Carpenter said it "appears that the findings were developed to meet preconceived determinations." Additionally, Carpenter acknowledged she should not have used the Preservation Fund to pay a $132 membership to a notary association. But she defended using roughly $3,600 for rugs, furniture, legislative meetings and food -- and also contended that $6,094 for travel expenses was appropriate. Galloway said she was frustrated Carpenter "continues to defend past actions, despite repeated findings of mismanagement, adding it's "a disservice to the citizens of St. Louis when these opportunities for necessary change are dismissed." Galloway said that since Carpenter's office received a "poor" rating, her office will perform a follow up audit in the coming months. "When I look at audits, I look at them as an opportunity," Galloway said. "There are concrete things that can be done to better serve the public. And look, when you are a public official, you should expect independent review. But you should also be accountable for implementing improvements that will help you better serve your citizens. And this audit is an opportunity for her to do that." Five public schools in Missouri will have their cyber security measures reviewed as part of an initiative announced Wednesday by State Auditor Nicole Galloway. She told reporters that more than 250 K-12 schools nationwide have suffered data breaches over the past 10 years. One of those was the Park Hill district in Platte County, near Kansas City, which is among the five being audited. Right before she battled back to reclaim an office she held for more than 30 years, St. Louis Recorder of Deeds Sharon Carpenter did something most longtime city employees do: She applied for her pension. Carpenter served as the city’s recorder of deeds from 1980 to mid-2014. After she resigned, she applied for and started receiving a monthly benefit of $4,238.76. Later that year, she defeated incumbent Recorder of Deeds Jennifer Florida in a landslide.